Arriving in stores now are a very special group of guitars. These are straight from Gibson’s Nashville Custom Shop and are unavailable ANYWHERE else on the planet! 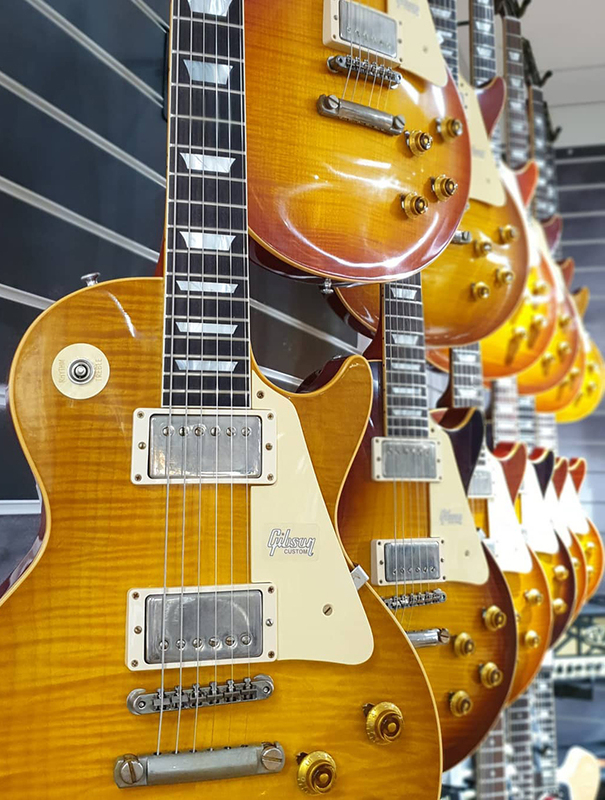 Yes, these incredible instruments are hand-made late 50's Reissue Custom Shop Les Pauls, made in the True Historic way with tops hand-picked by us! Not only that, these incredible guitars have special edition ‘GG’ serial numbers and certificates! This is a rare and exclusive run of absolutely top end instruments and we are so excited to show them to you! These beautiful Les Paul Standards bring together features from not only the greatest vintage 50s Les Pauls, but also some choice specs from a few of the prestigious Gibson Collector’s Choice models. In many ways these are the ultimate Les Paul Standard models, all made in accordance with Gibson's True Historic Spec. This means long neck tenons, hide glue and vintage-correct plastic parts as well as authentic shaping, detailing and finishing. 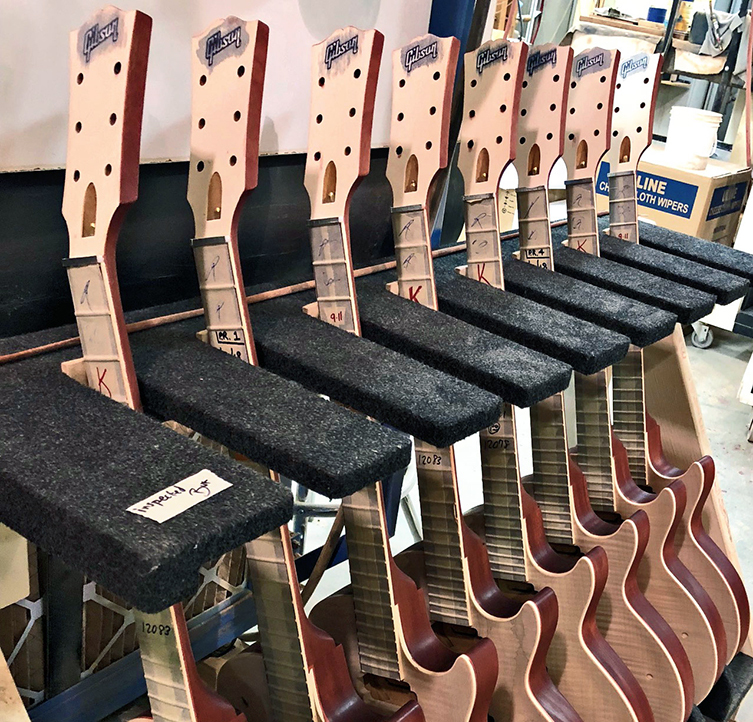 We recently made a trip to Gibson’s Nashville Custom Shop expressly to inspect and pick out Maple tops for this project. 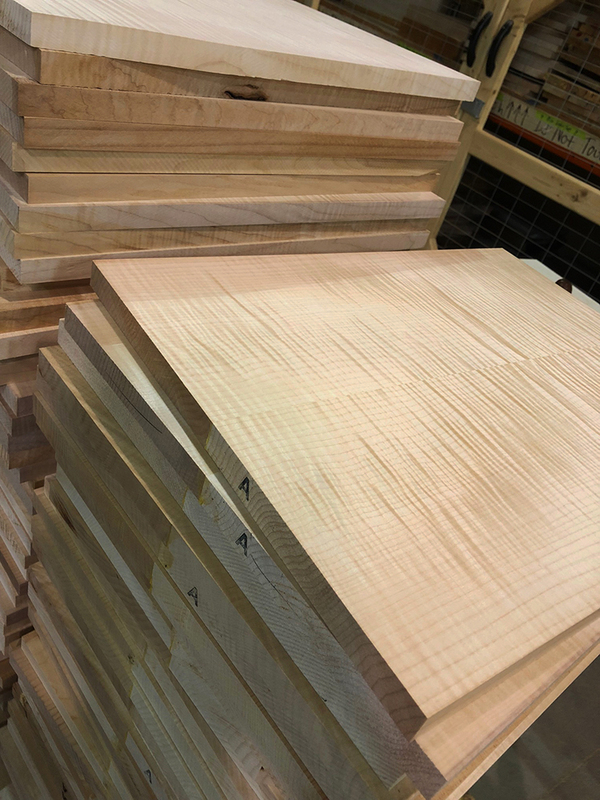 To begin with, a staggering 1200 individual Maple blanks (that’s THREE full palette loads) were brought out and presented to us for inspection. We sorted through this mammoth pile of figured wood, selecting and then re-selecting the most attractive, most unique pieces. Blanks that were too similar were rejected. In the end, we whittled down the entire collection to 81 incredible pieces of wood. 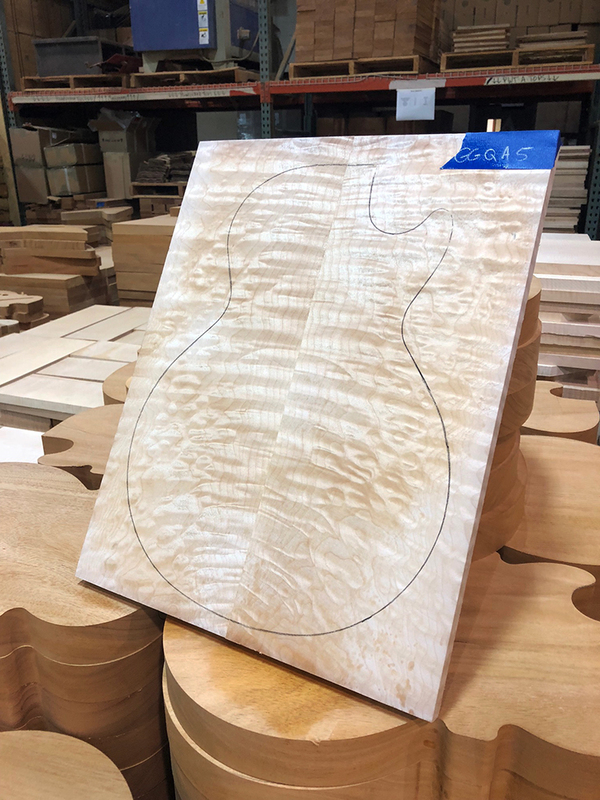 The neck profile has come directly from the celebrated Collector’s Choice ‘Carmelita’ guitar, a shape that is widely agreed to typify that mythic late 50s carve perfectly. The fret wire is the same Medium Tall Nickel-Silver Jescar type used by the Custom Shop of all of their True Historic Spec late 50s necks. Vintage-correct, durable and giving an authentic feel, these types of detail are what define this run of guitars and make them 'Holy Grail' affairs for fans of Gibson's finest. Talking of details, the Maple tops are all carefully carved to follow specific ‘dish’ contours. 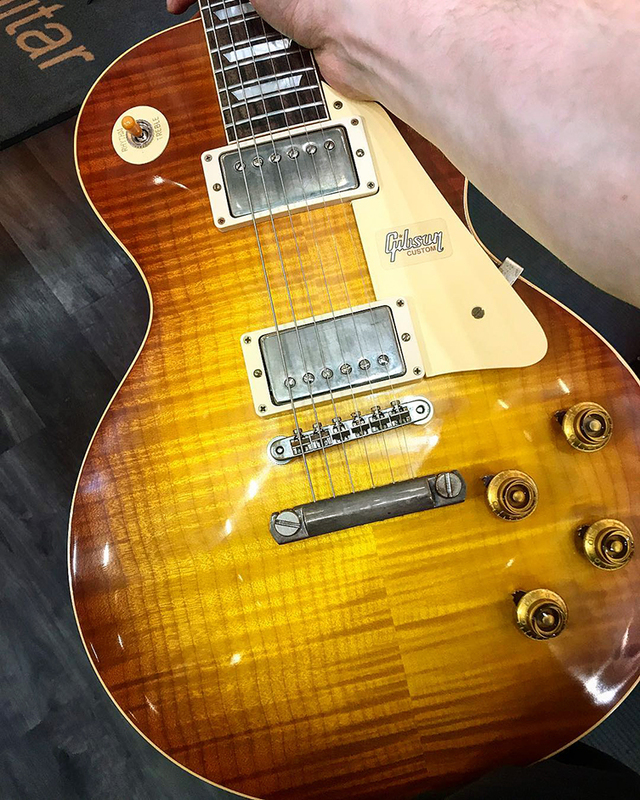 The pickups are Gibson’s Custom Buckers, perhaps the closest anyone has yet come to bottling the elusive magic of a vintage PAF humbucker in a contemporary model. The long tenon and single piece body work with these pickups to bring out the full bloom of your notes, with a level of sustian that would make Nigel Tufnel proud! Truly, these guitars sing with a rarefied voice. 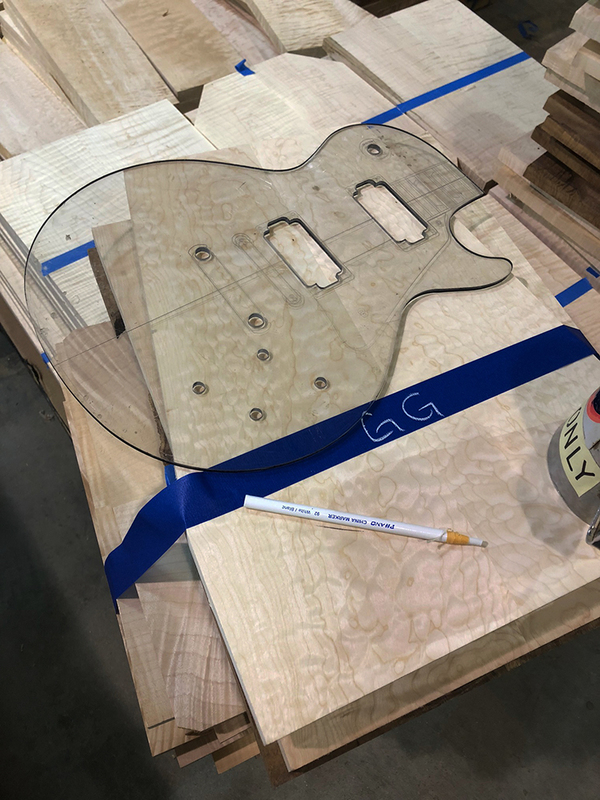 Next, the finishes themselves have been carefully chosen to summon all of the famous allure and timeless beauty of a late 50s Les Paul. We have six finishes available: Ice Tea, Bourbon Burst, Lemon Burst, Washed Cherry, Faded Tobacco and Sunrise Teaburst. These represent all angles of beauty concerning this golden age of the Les Paul. 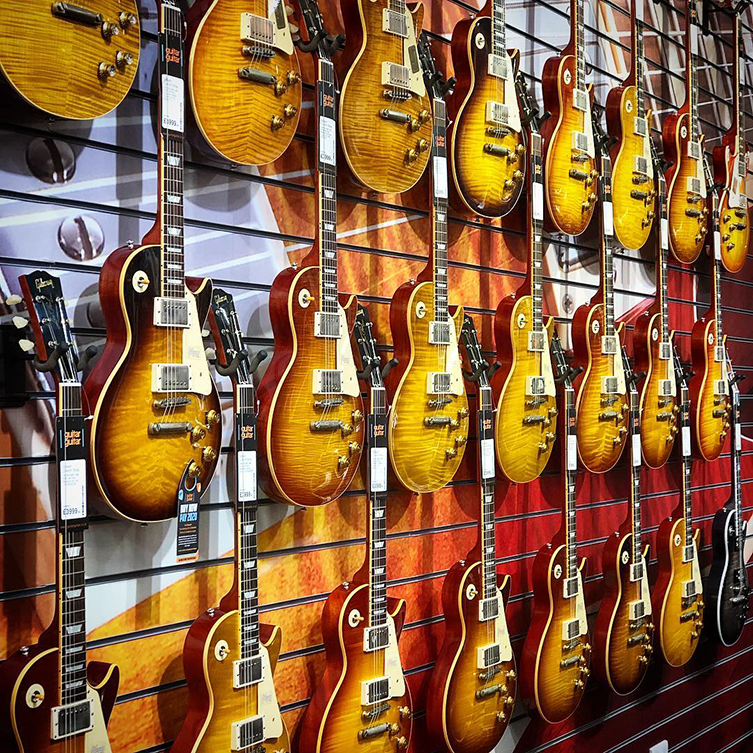 A more stunning collection of Les Pauls we have not seen, that's for sure. Each of these Handpicked Late 50s Les Paul reissue guitars has a unique guitarguitar serial number. This is the first time we've ever done this with Gibson and no other manufacturers have this! The back of each headstock will be stamped with ‘GG001’ and so on along the entire run of 81 instruments. Remember, there is nowhere else on the planet to buy these majestic Les Pauls! Each comes with a certificate of authenticity from Ronald L Eubanks, Gibson Custom Shop’s General Manager. These Les Pauls look, feel and sound exceptional. The extra exclusivity and special attention to detail are the icing on the cake. These guitars are light, expertly sculpted and produce those inimitable tones – both warm and sharp, somehow – that made the Les Paul a legend in the first place. The figured tops are second to none and the finish choices proudly reflect a heritage that no other guitar company can boast. ‘Special’ doesn’t begin to describe these guitars. Each of our guitarguitar stores will be receiving limited numbers of these for stock. If you have already been checking out some of Gibson Custom Shop’s top tier Les Pauls, do yourself a favour and view some of these at your earliest convenience! These are priced just as you'd pay for a plain top Custom Shop '58 and look at what you get! These beauties are super-limited so get in there while we have them!